I’ve always thought that if I were going to France I’d like the fictitious character ‘Eloise’ to be my guide. 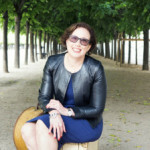 But today I interviewed someone I’ve known for some years, and I have to say, that she could be seen as a grown-up, modern day ‘Eloise’, but instead her name is Nicole Ress, of WalktheFrenchTalk guided tours of France. It is said that the character, Eloise, is based on a combination of Kay Thompson, the larger-than-life author of the well-known Eloise series, and her good friend Liza Minnelli: in their youth. I’m speaking of ‘Eloise’ (1955), who lived at the Plaza and the entire wonderful series of Eloise books, of course. When I was last in London and reading a bedside story to my elder granddaughter – together we read ‘Eloise in Paris’ (1957), it certainly was a romp! 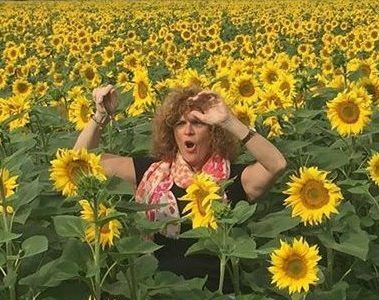 Today, Nicole and I spoke of her French conversation classes in Melbourne and her intimate French tours of Provence and the Loire scheduled for June 2017 (refer end of this interview). I have to say that these tours must be so much fun! Entirely a romp! Upon reflection, I can see why I feel Nicole and Eloise are similar and the list is very long! They both grew up in a hotel and I mean a big hotel with 100 rooms or more! One in NYC, the other in Melbourne Australia. They both had a nanny and both speak French, Nicole’s Mother, Suzanne, is French and as for Eloise, well, I think she was probably born speaking French, she is/was just like that! Both Nicole and Eloise are always having fun, often too much fun! Everybody loves Eloise and Nicole too – how could you not? Both like others around them to be having a ball too. Both have endless energy and boundless imagination. I won’t go on but I could, I really could! But you get the picture, don’t you? The inspiration for the book, ‘Eloise in Paris’ came from the author’s own trip to Paris in 1956, to film parts of the movie ‘Funny Face’ with Fred Astaire and Audrey Hepburn. In the book, Eloise stayed at the no longer existent, ‘Relais Bisson’ at No. 37, Quai des Grands Augustins, on the left bank in Paris in the 6th arrondissement, whereas Nicole stayed/lived above La Coupole in Montparnasse near the junction of the 6th, 7th and 14th arrondissements, from 21 years of age and annually after that. Ooops, here I am speaking of Eloise again! I’d like a guide to be able to speak the language: authentic French. I’d like someone who knows his or her way around and is very resourceful. I’d like someone who doesn’t get flustered, someone who is not rigid, more laissez-faire by nature. Someone who knows quality French food and wine and how to make sure we get it. Someone who really understands the customs and culture of France and loves being in France interacting with the French people as well as the people he/she’s hosting. Someone who is a warm wonderful host when things go well and can easily and naturally smooth it out when it doesn’t. Actually, I think Nicole Ress ticks more of those boxes than Eloise would have! 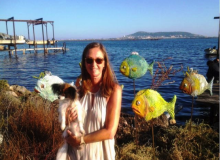 There is an interesting backstory to Nicole and her French conversation classes in cafes and guided tours of France. 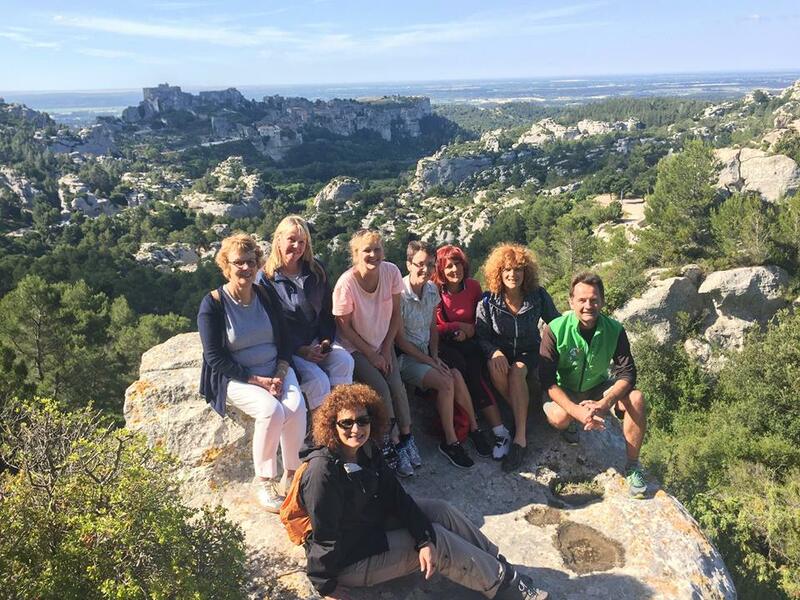 The French classes were an idea well before the family hotel was sold and the Tours to France had always been a dream – 30 years of having that dream! So without knowing it, here I am, again, interviewing someone who has changed their life (or augmented their life), by living their dream – making it a reality. When I asked Nicole about the impact of bringing that long-held dream to a reality here’s what she said, “It is very important that people actually live their dream. Achievement changes people. The sense of achievement brings fulfilment and happiness and with it wellbeing and self-confidence. To complete the picture of Nicole’s upbringing her Mother, Suzanne, was and remains, a beautiful French woman: highly competent, a perfect hostess, a self-taught cook and French pastry baker. To this day, she delights all with her delicious baking, superb presentation and immaculate grooming and style. 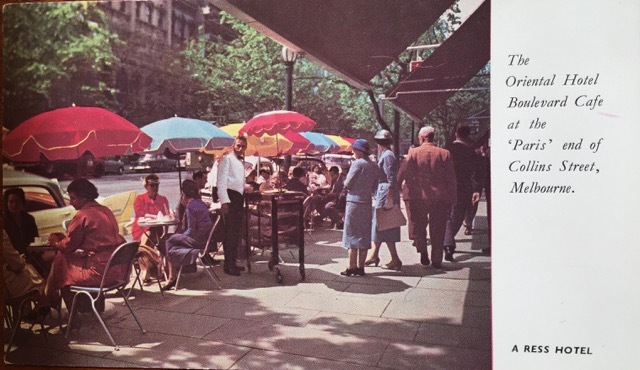 It was actually Nicole’s Mother, Suzanne, who coined the phrase the ‘Paris end of Collins Street’ and her family were the first in Australia to obtain a permit to place French cafe tables, chairs and umbrellas on the footpath in front of the family hotel, which covered a block at the top end of Collins Street where Collins Place is now. ‘France in Melbourne’ and the ‘Paris end of Collins Street’ expressions were born. Hospitality runs in Nicole’s veins, she’s programmed to look after people so as to make them feel special, and I’ll add that she does so naturally – and loves it. 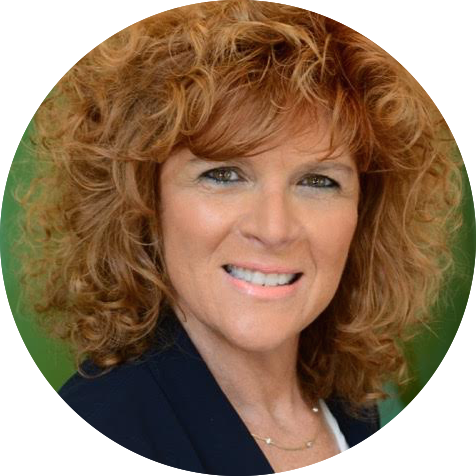 After more than 25 adult years of hospitality training, she continues to get great delight in helping others achieve beyond their expectations. Nicole loves to train and teach others, so as to give them confidence and to empower them to achieve and enjoy themselves. 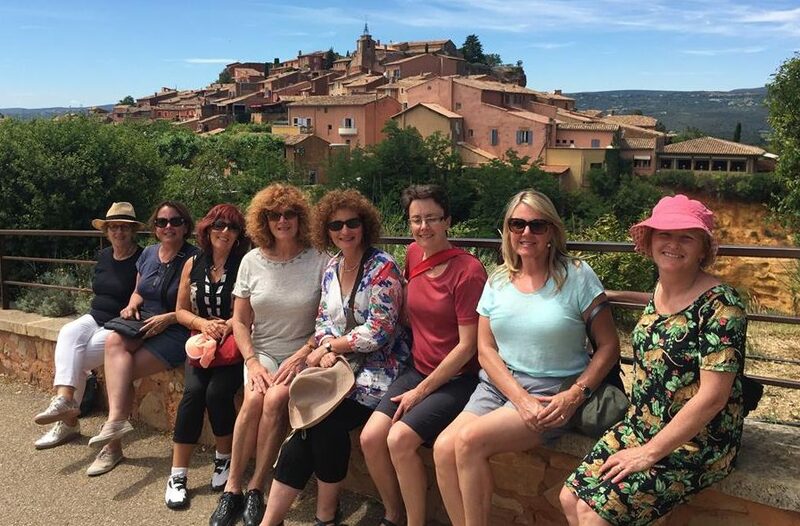 In my mind, this encapsulates and explains why Nicole thrives in hosting French classes and taking her ‘WalktheFrenchTalk’ guided tours of France, especially for those who are learning French. 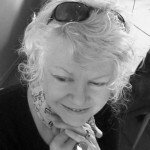 Her guided tours of France are unique and cater for absolute beginners through to very competent intermediate level French speakers. 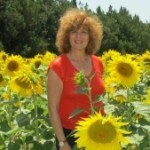 Nicole goes on to speak about her 2017 guided tours of France: “Provence + Loire = fantastique! The camaraderie and friendship will endure for a lifetime, well past the end of the tour. This has already occurred on previous trips, to the point that guest travellers have joined the tour more than once. Also with my professional crew, who have extensive experience in each of the regions, I provide a full turnkey experience on this bespoke small group tour. Deposits required before 31 October 2017. To express your interest in these tours you can Send Nicole an email from here and you will receive a brochure or you can email, even to just chat with her. (Click on the link above to email ). 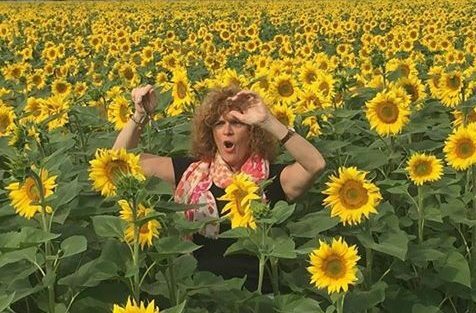 Don’t forget to mention that you read of Nicole’s tours here on MyFrenchLife™ magazine and if you are Melbourne based, Nicole would be delighted to give you your first French class complimentary – don’t miss that opportunity. In Paris where are your favourite spots? To play: Walking through the Jardin du Luxembourg (Saint Germain 75006 Paris) with some macarons from Gerard Mulot 76 Rue de Seine, 75006 Paris and stop near the Fontaine de Medici. 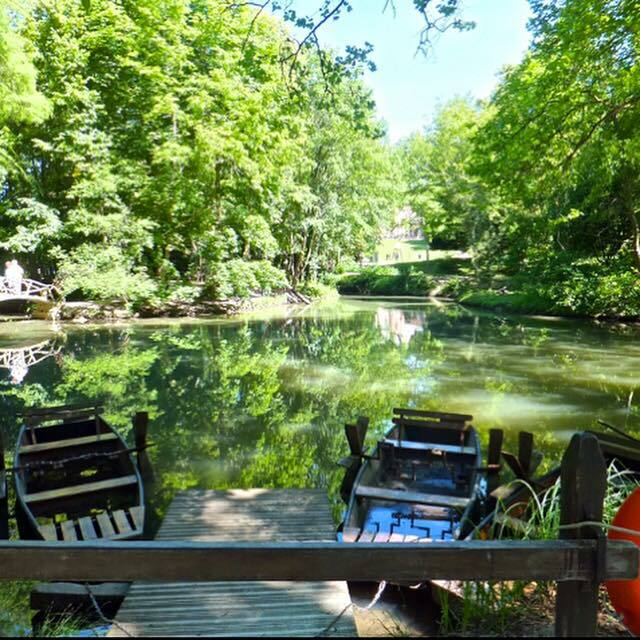 Your other favourite places in France? 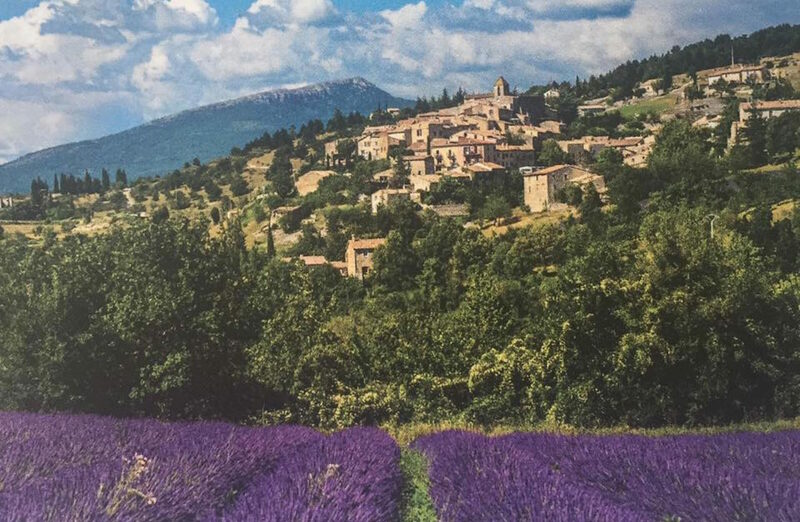 Gordes in the Luberon – To see this village is to fall in love with it. 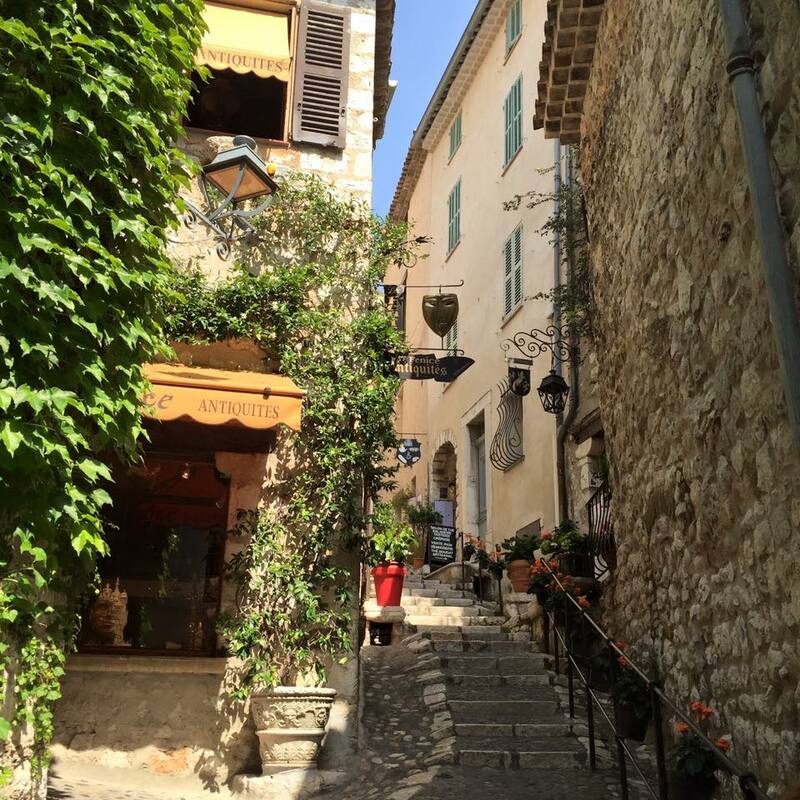 Eze Village – Côte d’Azur – to have a drink on the terrace of the Chèvre d’Or Hotel and express gratitude for being here. Merci mille fois Nicole ! 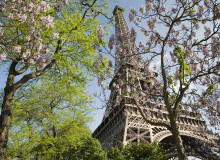 Would you be interested in an intimate WalkTheFrenchTalk tour? 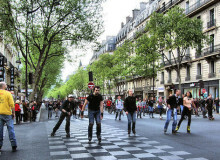 What appeals to you about guided tours of France? Let us know in the comments below. 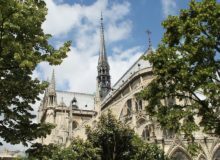 Paris in May – what's on? Thank you for this excellent insight into Nicole and her tours Judy. Like you, I’m more of an independent traveller but if I was to take a tour, one where I could improve my language skills would certainly be on the list. Like Nicole, I love Café Marly in Paris. It’s excellent for people watching! Chère Janelle, join me on one of my tours and I’ll have you speaking like a native! J’ai hâte de vous rencontrer. Poser un lapin To put/sit down a rabbit - or to stand someone up.